Our mailbox lettering has awesome long-term outdoor durability. We warranty our lettering to look great for many years. Our self-adhesive vinyl lettering works great for marking your name or address on a mailbox. It comes pre-spaced and is easy to install. We do have reflective vinyl available for extra visibility at dark. 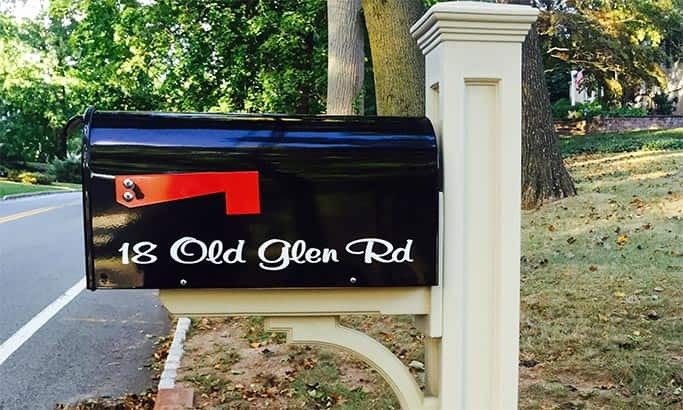 Three ways to order mailbox vinyl lettering. 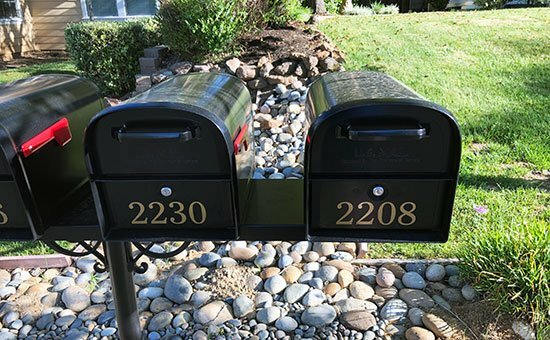 Measure your mailbox to determine how much room you have for lettering height and width. It's usually best to enter the total width you would like the lettering to be first. The website will update to show what the height would be and you can make adjustments to the height or width as needed. Just make sure the total height and width fit in the space available for your mailbox.